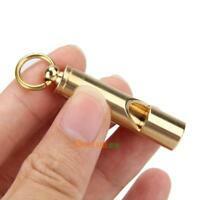 The dual whistle channels create those nice dissonant whistle tones that really grabs your attention. The whistle chambers face both directions, giving it a more useful omni-directional sound pattern. It's smaller than expected, but still loud as fudge. 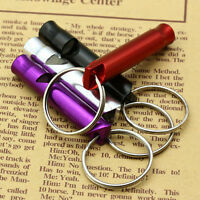 The anodized finish looks good and has good scratch resistance. The gold looks more like a rose gold in person, so I'm going to give it to my wife and grab another for myself. 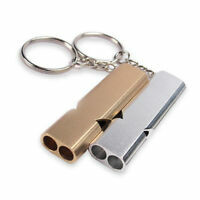 These whistles are loud, solid, and good sized. They don't rust and are very light. 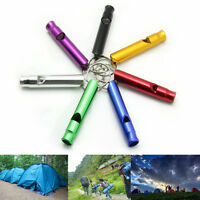 Great for camping or hiking whistles. Ok in a pinch...not as loud as I thought. Very loud for it’s size. Nice finish, too.